Do any one have known from bottled honey what Thai street vendors sale round Pattaya streets in old thai visky bottles. What kind flowers or plants the beens are collect te honey? Is it pure honey or they mix some think in bottles too? I hear some peoples has praise it's good and I have tasted it self too and it tastes delicious anyway. 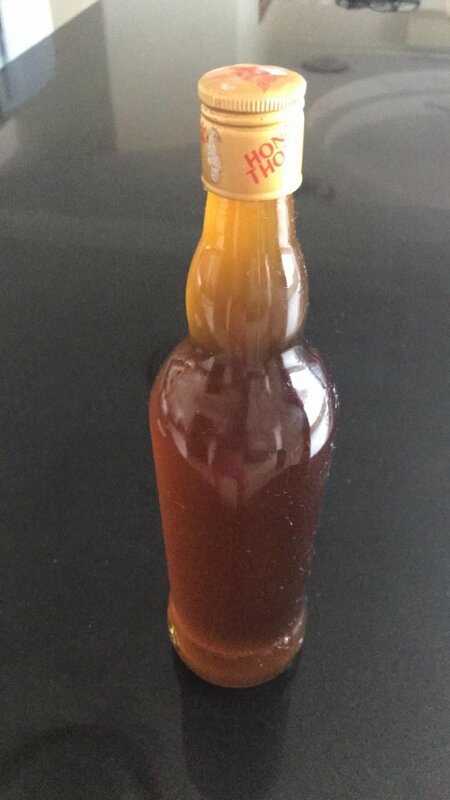 Is there any way to self test or check what is about honey quality? ฿120 for it and others up to ฿200. good honey, Tops would be worth checking out. If you can get honey that has not been heated, filtered by the large packers it does have pollen grains and enzymes left in it. You can see how runny it is, it's a measure of water content. Should be under 20% to avoid it from fermenting. Even if there has been 10% sugar added I would still prefer honey from as close to the beehive as possible. Honey is sugars, mainly fructose and glucose anyway... Buy what you like to eat, don't worry too much about adulteration. Stay away from honey you suspect has Chinese origin, they have been treating hives with antibiotics sometimes there. About twice a year a gjy in our village goes into the forest in search of beehives. We always buy a bottle of honey from him and it's absolutely the bees' knees. Simply delicious. If I were you Aatsi I'd buy a bottle and try it.